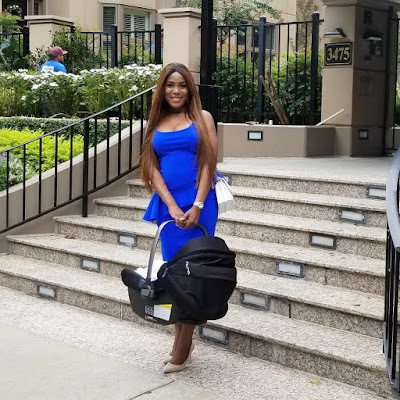 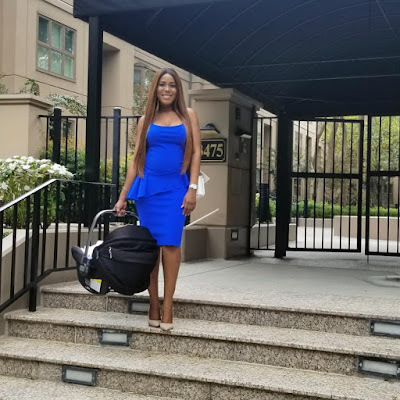 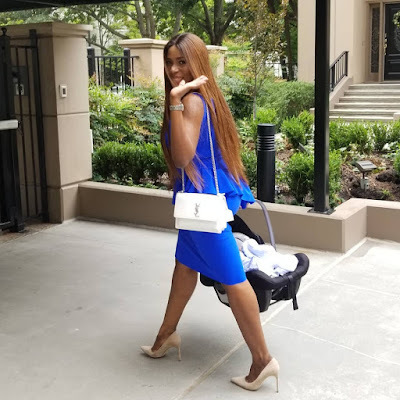 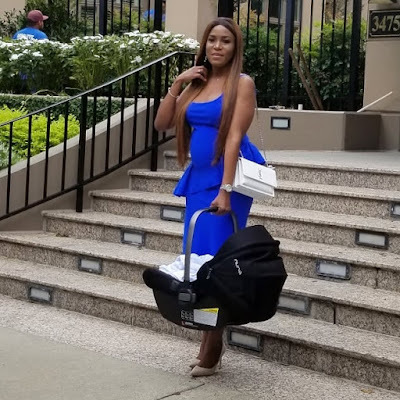 New Mum Linda Ikeji shows off post baby bod as she steps out with son for the first time since giving birth! 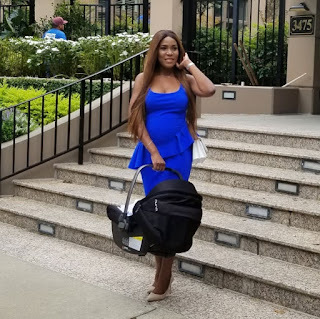 She only just welcomed her son Jayce a week ago, but it seems the popular media entrepreneur is well on her way to her pre-baby bod. 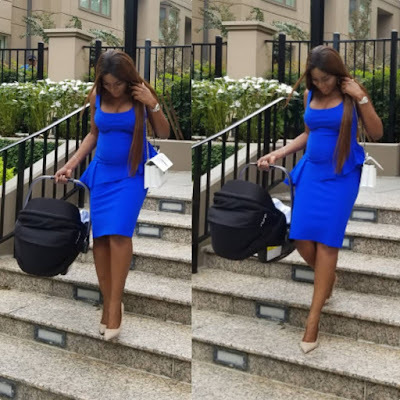 Stepping out with her son fully secured in his car seat, the new mum looked radiant in blue with no signs of someone who even went through the rigours of labour just a week ago..
Congratulations to her once again..